We are thrilled to be winners! 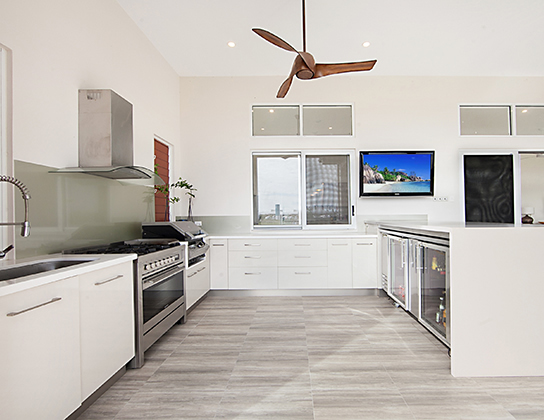 The HIA North Queensland Housing Awards were held last month and we were thrilled to be winners! 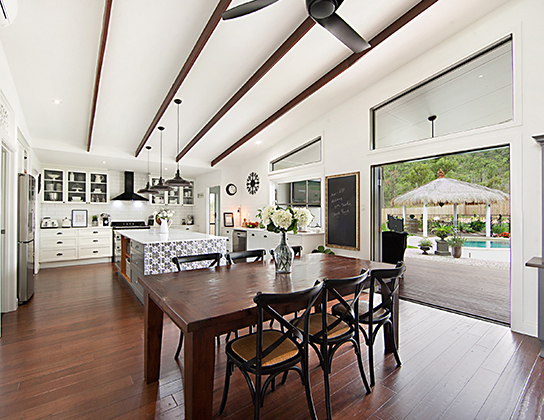 This beautiful kitchen showcases the perfect balance between traditional and contemporary. Luxury accessories include black freestanding oven and rangehood, pendant lights, double sink, clear glass display doors with 2 pac painted angled cabinetry, stone benchtops, integrated fridge/freezer and classical spring mixer. 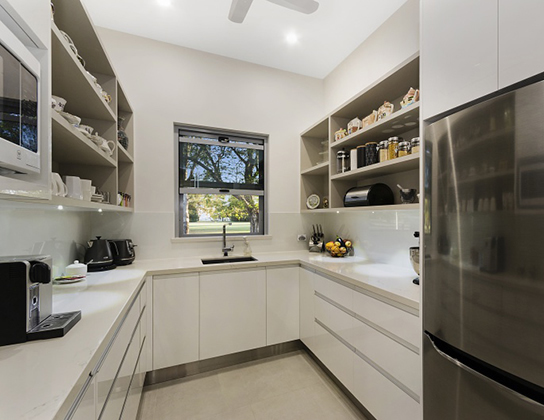 This stylish yet practical kitchen has a functional layout within an open plan living space. It has a unique blend of materials and finishes including gloss drawers and stone tops. All drawers feature soft close and lift systems to overhead cupboards. The granite table top at the end of the island bench provides a space for the family to dine. This outdoor kitchen has stainless steel kickers, metallic metaline splashback, brushed stainless handles and Essa stone feature bench tops. Functionality is optimised by the integration of the BBQ, wine fridges and oven with extra sophistication of soft-close drawers. 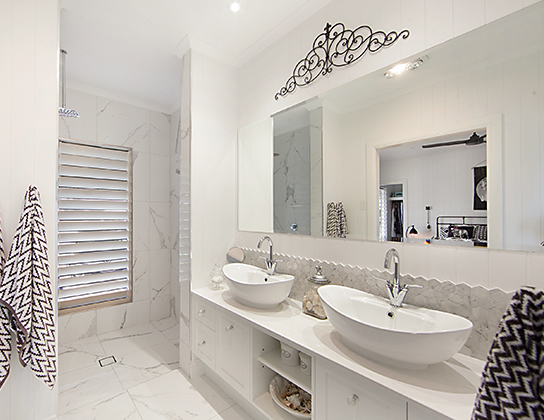 Elegant is the best way to describe this ensuite. With an intriguing tiled splashback amongst the white 2 pac doors, a gentle contrast is created with the white gloss marble look floor and wall tiles. The stunning stone benchtop adds class while still fitting into the traditional look of the home.